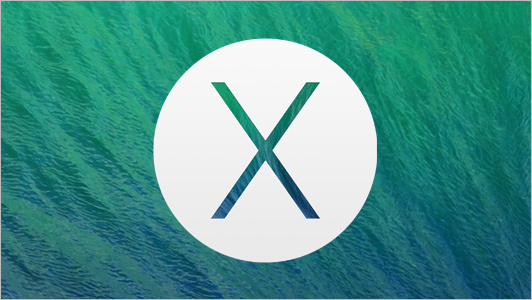 With the Mac OS X Mavericks Developer Preview now available, many will want to run it in a Virtual Machine, so they can run in along side of their production Mac OS X and other OSes running in VMs. And avoid the time and hassles of having to mess around with resizing and adding disk partitions or drives, and having to use Boot Camp to dual boot into Mavericks to avoid losing your production Mac OS X installation. While I did find some did find some instructions for installing Mavericks in a VM under Parallels Desktop 8 for Mac I can't find one for VMware Fusion 5. So I made my own. You cannot install the Mavericks Developer Preview in to a new, empty VM. If you try you will get device errors right at the start and the installation will stop. That's because the Mavericks Dev Prev does not support installation in to a VM and probably doesn't officially support running inside a VM at all. But there is a way to do it. The Mavericks installer will finish just fine, IF you run inside a Mountain Lion install already running in a VM. I did not try this with earlier versions of Mac OS X. Install Mac OS X Mountain Lion in a VM. You can do this using the Mountain Lion Installer download from the Mac App Store. Just select the installer app as the disk image when creating a new VM. Fusion will be able to install the OS right out of that Install OS X Mountain Lion.app file. Once you have Mountain Lion running in a VM, shut it down and make a backup of the VM file. Install the Mavericks OS from inside the Mountain Lion OS running in the VM. The Mac OS X Installer apps that you download from the Mac App Store, will save to the Applications folder. If you run the installer from there, when it's done it will remove itself to safe disk space. So if you want to use it later to install in a VM or other Mac, make a copy of it. Go to Purchases in the Mac App Store app. If the Mac App Store won’t let you re-download the installer, here's a quick tip I got from an older MacWorld article - The last time I tried this in 2012, it used to work. But I am unable to test it now, so I'm not certain if it still works in the latest software versions. - Quit the Mac App Store app, relaunch it, and then Option+click the Purchases tab in the toolbar; that should show the Download button next to Mountain Lion in the Purchases list. Mavericks Developer Preview 2, and probably future versions, updates via the Mac App Store. Just click Updates in the Mac App Store app from inside Mavericks.